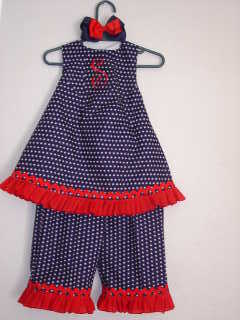 Darling halter dress and capri pants. 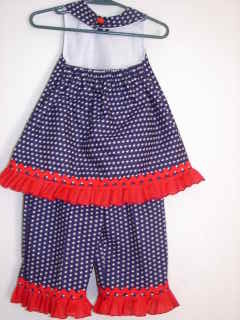 The halter dress is red and navy. When dress gets too short, Just add the matching capri pants. FREE monogramming of your choice!! Hair bow not included. Perfect for the 4th of July!